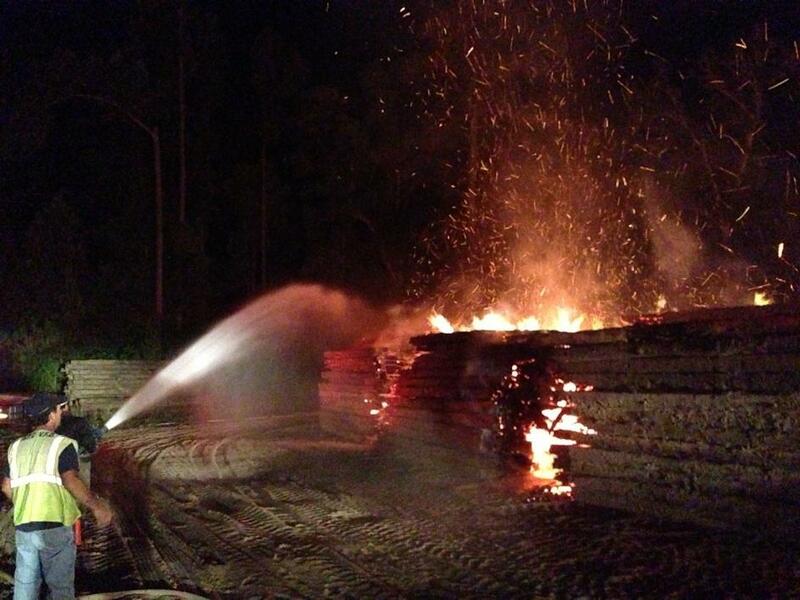 Hardwood dragline mats burn in the middle of the night at the Sunland Pipe Yard in Segno. 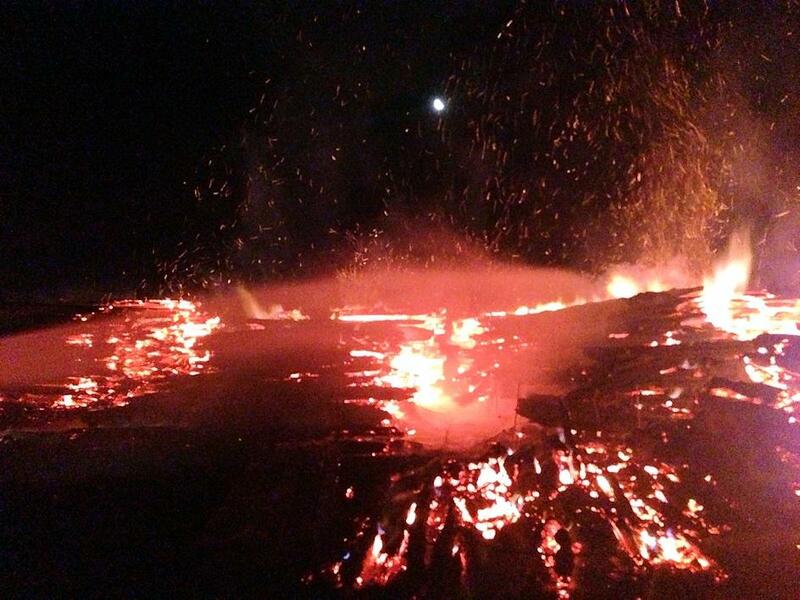 Industrial Fire in Segno, SEGNO, July 1, 2013 - Thousands of feet of hardwood dragline mats went up in smoke at the Sunland Pipe Yard in Segno. 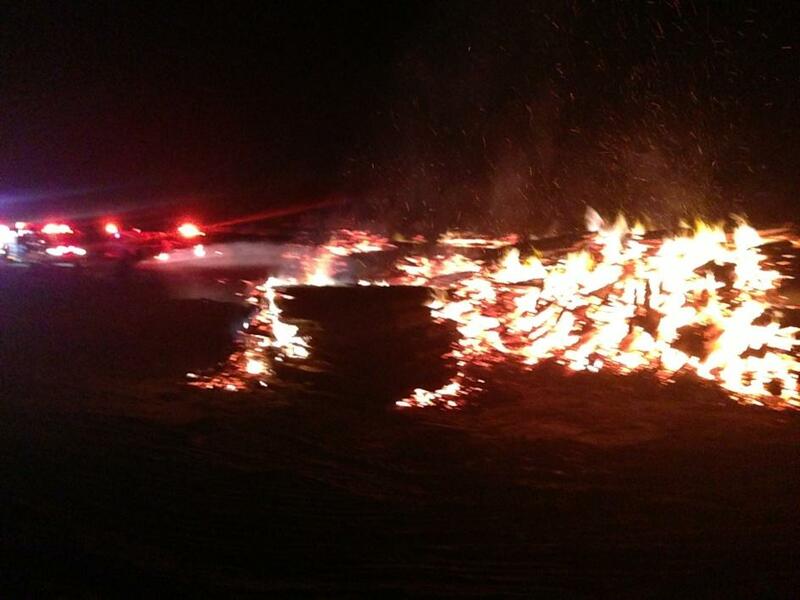 Segno, South Polk County, and Livingston Volunteer Fire Departments responded to the scene. 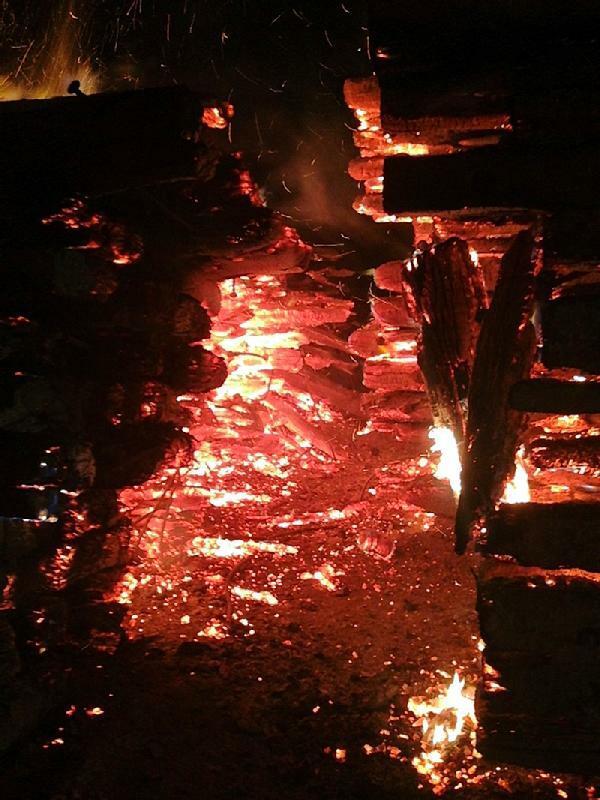 The fire allegedly started at around 6 pm on June 30, but wasn't reported until around 2 am (July 1) when volunteer Fire Departments were dispatched. Firemen were able to put out the fire and nobody was injured.